The Value 7 1/2 ft. Drape Umbrella with tilt, features excellent quality at an attractive price, providing you with an unbeatable value. This umbrella is available with only in silver aluminum frame. These are available to order in your choice of available umbrella fabrics. 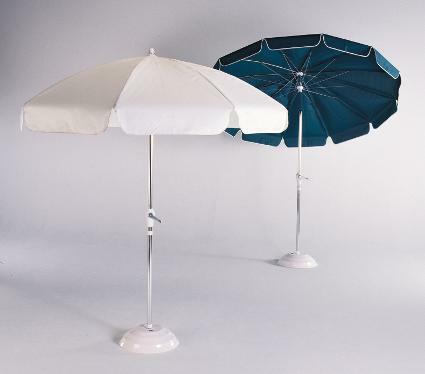 The umbrella bases shown in the photo are not included but can be purchased seperately. 1 year residential and 1 year contract warranty.